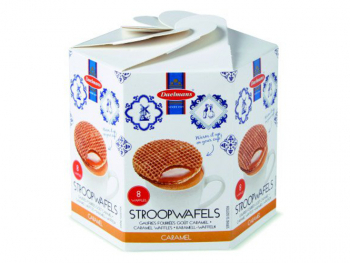 A match made in heaven: combine your love of stroopwafels with your love of chocolate! 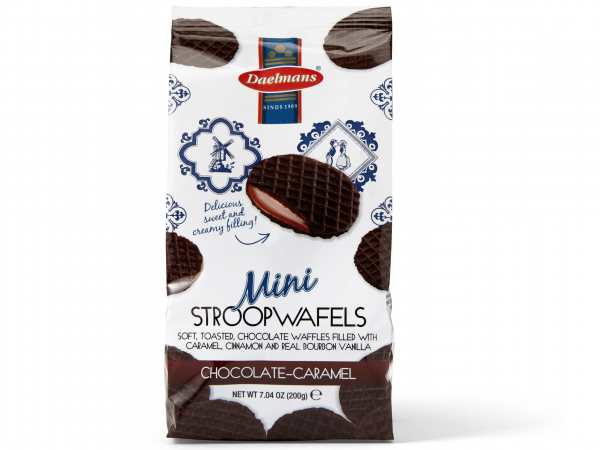 We now also have the mini version of our chocolate caramel stroopwafels! They come in a handy cello bag that’s easy to pass around so you can share it with friends and family. 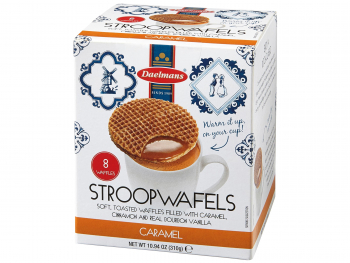 These mini stroopwafels are a handy bite-size. 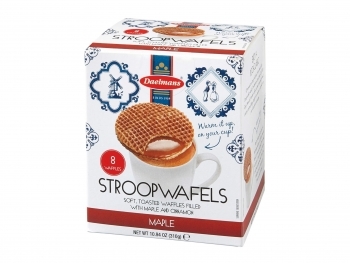 Just as our other mini stroopwafels these have a diameter of 4.5 cm (1.77 inch). They’re also available in caramel and honey flavor. 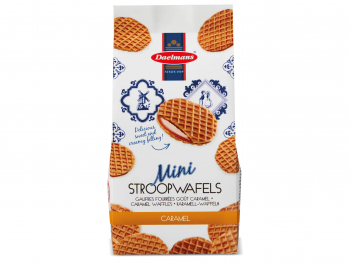 There’s also a case of 12 mini chocolate stroopwafel bags, so you’ll never run out. 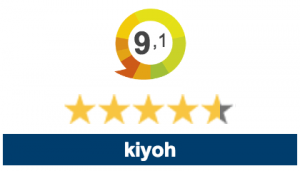 This case gives you over 10% discount! On top of all that, buying 2 cases also gives you free shipping. So don’t hesitate and treat yourself now! Wheat Flour, Glucose Syrup, Sugar, Palm Fat, Butter, Treacle Syrup, Cocoa powder, Soy Flour, Canola Oil, Salt, Dextrin (Wheat), Natural Flavor, Leavening (Baking Soda), Emulsifier (Soy Lecithin, Mono- and Diglycerides of Fatty Acids), Acidity Regulator (Citric Acid), Spice (Cinnamon), Vanilla Pods.